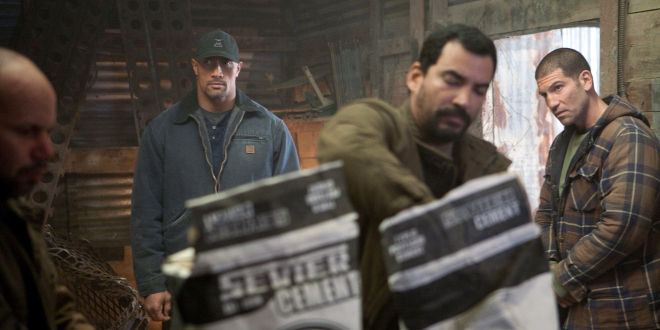 Starring: Dwayne Johnson (The Rundown), Susan Sarandon (The Client), Jason Bernthal (AMC’s The Walking Dead) and more. Rated: Rated PG13 for language, drug use and violence. This is going to be nothing but a mixture of two other mediocre films mixed into one: Contraband (review) and Faster (review). I’ll pass. I expected Snitch to rank not much higher than “a waste of time” in my book with a few cheap thrills, an expected outcome and a star with so much potential kept to a minimum through repetitive roles. Sometimes it helps to have low expectations. Every once in a while it pays off and I get surprised. I’m glad to report that Snitch impressed me a lot more than I expected it to. Ever since learning that the line “Based on a True Story” (or “Inspired by a True Story”) was indeed fictitious in the case of Fargo, I find that I question the plausibility of the events on screen that follow that declaration in a movie. Snitch begins with that infamous 5-word phrase and immediately my eyebrows raised, unsure of what I was supposed to believe or just how believable it would be. The cast and crew of this film made almost every moment of the story plausible and powerful. While expecting tons of action, Snitch pleasantly surprised with a mixture of reality, emotion and danger. Dwayne Johnson arguably (but decidedly in my opinion) gives the BEST performance of his career as a father willing to go to any length to see his son exonerated from his alleged charges of drug trafficking. With great range of character, emotion and action, Johnson is the glue that binds this film together as the business man and father caught between two different worlds on two different fronts: (the world of the DEA/Politics and the drug cartel; the world of his incarcerated son and ex-wife and his current wife and daughter). Seems a bit complicated, but it plays out very well and is easy to follow. Casting is spot on with not only Johnson, but with Jason Bernthal (an ex-con seeking redemption for his family’s sake but pulled back into the life he flees), Susan Sarandon (a politcal position chasing prosecutor with no care for personal issues other than her own), Benjamin Bratt (ruthless Mexican drug cartel leader), Barry Pepper (an undercover DEA agent with experience and a conscience) and more. Great acting from all parties involved causing the care and/or hatred for each of the characters. Some may balk at that sort of “manipulation” but I found it to be effective. More effective, anyways, than the director’s continual need to do close up shots of the actors in an obvious attempt to score more points emotionally with the audience. Unnecessary and annoying, however, the actors themselves proved capable of portraying the emotions necessary all on their own. Both political and parental elements permeate the storyline with the bigger emphasis being that of the political message pointing at the “injustice” system of legalistic policies and penitentiary paperwork. While the overall message of the film seems to be buried in the political argument of minimum/maximum sentencing of one crime over another, the message I took away from it was one of parenthood and family as the importance of it is shown not only through the protagonist’s story, but also through the antagonists as well. I remember watching John Matthews (Johnson) as he faces the dangerous and tense situations (including the film’s climax) and saying in my head what Gene Hackman’s character in Enemy of the State told Will Smith’s character: “You’re either incredibly smart or incredibly stupid.” Throughout the entire film my eyes never left the screen, but that was never more true than during the finale as Matthews attempts to take his fate and the fate of his son into his own hands. “Father of the Year” award? Let’s just say that John Matthews (Johnson) is a good contender for it. The film makes you ponder just what exactly you would do if your son was incarcerated through an unfair means and no one was willing or “able” to help? With great pacing, good acting, believable scenarios and characters, Snitch was a welcome surprised that impressed and reminded me of other movies like: The Next Three Days, John Q., Enemy of the State, etc, then Snitch is definitely the film for you. I ain’t no snitch, but I gotta tattle and tell ya that it’s worth a watch! The first “surprise” of the year for me! Nice job, Dwayne Johnson. Keep it up! up next: My Oscar Predictions! Are you ready for the awards? I was pretty impressed man. truth. I liked how they paid actual attention to the characters and story, but the action-aspect seemed forced to me. It’s like they needed guns and explosions so people would know they were watching a movie that was advertised as a slam-bang, action-thriller of epic-proportions. Nice review T.
Interesting…this is not what i expected. I might even rent this now. I think “Inspired by a True Story” should be regulated..not really…but I don’t know what to think when I see that either. not what I expected either! I’ll check it out, thanks T! Nice review. I had no intention of watching this before but now i’m thinking of catching a matinee. I kind of have this built in prejudice against Dwayne “The Rock” Johnson but its good to here that he’s working on his acting skills. Nice blog too. I’m just getting started myself. Hi Jordan and welcome. Thank you for stopping by. The Rock did a great job in this one. Thanks for the compliment as well. Much luck and success to your blog! Well it seems that we agree with this one too. 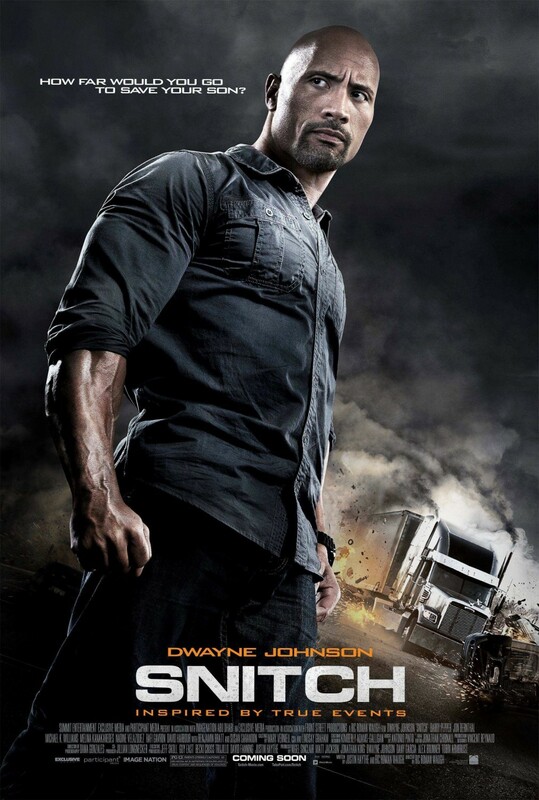 I also enjoyed Dwayne Johnson in this role, and found him to be very believable. This is definitely a step away from a character I am use to seeing him played, and it worked. I also agree that the cast held the movie together. I found little disappointment in any of the characters.